Metro will relocate all eastern shore and some northern suburbs Hobart CBD bus services from 13 May 2018. Under the plan all services using Hobart City interchange stops J, M, G and H will use a different departure point, and services will be distributed between the stops. CEO Megan Morse said Metro focussed on ensuring minimum disruption to its customers and operations, as well as other road users, during planning for the changes with City of Hobart and the Department of State Growth. 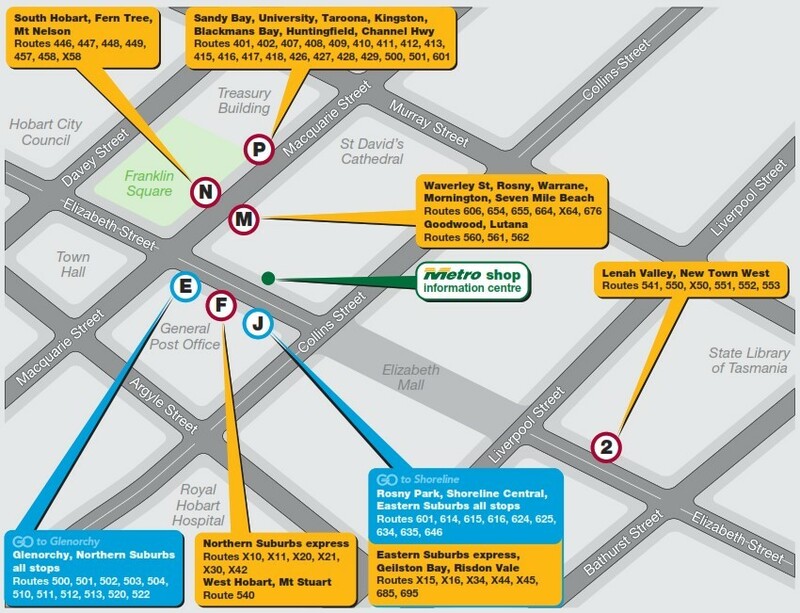 “The changes to our network are necessary to facilitate development underway at various locations around Hobart and specifically around the Elizabeth Street and Macquarie Street bus interchange,” she said. “We will be undertaking a comprehensive public education campaign to help customers and motorists travelling through the CBD people better understand the change. “Metro representatives will also be available in the interchange during the transition to support customers to find their new departure points. Ms Morse said Metro plays a key role in CBD transport solutions given the number of passengers it carries daily and the potential for that to increase as Hobart experiences unprecedented levels of activity. “Each day we facilitate up to 17,000 passenger journeys through the heart of our network, the Hobart CBD. We are also working to minimise any potential flow-on effects not only to our services, but traffic volumes generally,” she said. 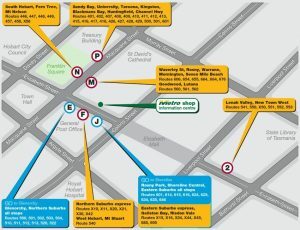 Customers are encouraged to check the Metro website (www.metrotas.com.au) for detailed information and maps, visit the Metro shop or call 13 2201 if they have questions about the new arrangements. •	Lenah Valley services and New Town West route 541 will commence from stop 2 Elizabeth St (which is the second timetabled stop for most services), and city departure times will reflect this.